I use many of the same songs and rhymes each week for toddler storytimes. I typically choose 2-3 of the rhymes/songs listed below and use them after my Opening Song each week. This allows toddlers to feel relaxed and comfortable at the beginning of the program because they are doing things that they know. Not only do young children love repeating favorite songs and rhymes, but repetition promotes cognitive development as well! Finger puppets were purchased from Artfelt. I like to start this rhyme by telling everyone that they will need one (hold up one pointer finger)…and two (hold up other pointer finger) fingers for this rhyme. Ready? …. This is a great one to get the kiddos moving before sitting down to your first book. Repeat this about 3 times, each time getting progressively faster. With little ones, you can have parents march their fingers up and down their child’s arm, or they can bounce them on their knees. This song is great for helping young learners express emotions. 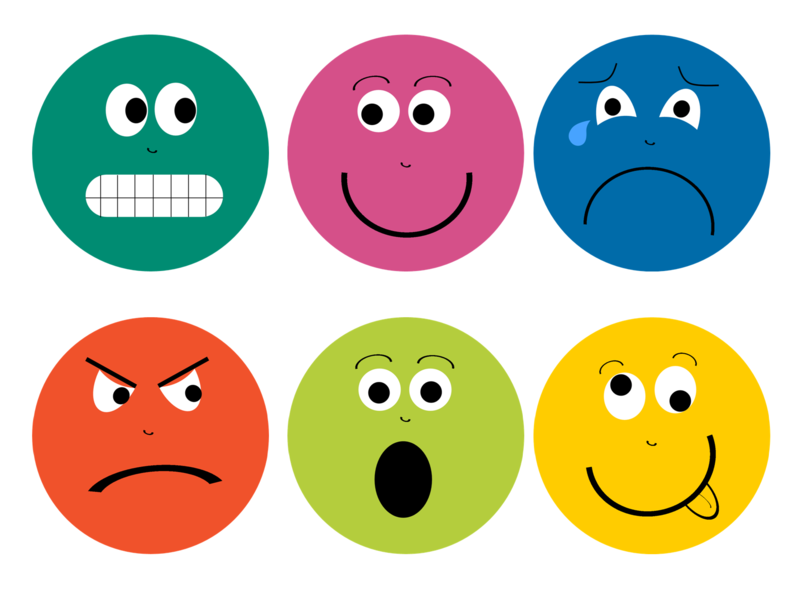 I use “feelings faces” to add a visual for the children. I pull each face out, one at a time, and ask “Can you guess what they are feeling?” Then we sing the corresponding verse. I’ve made a printable for you (see link below.) I would suggest printing it onto cardstock and/or laminating each one. Then, I like to glue each face to a jumbo popsicle stick to make them easy to hold up for everyone to see. Before singing this one, tell everyone to hop into their pretend boats and get out their paddles. Are you ready to row? This is also an especially fun song if you use a stretchy band. Have everyone sit in a circle and hold onto the band. Then row as you sing. On the next verse, row backwards! I am trying to conduct a Dragon themed storytime as well, but do not have access to the book by Carol Elaine “SUPER STORYTELLING.” Can anyone send me the whole rhyme for Ten Dizzy Dragons by email? I just emailed you Mehgan! Have a fun dragon storytime! I hope you and the children had fun with Ten Dizzy Dragons! I do the the arm motions, such as ” say it high!” up on my toes and “say it low “down the floor and say it fast and slow”. I also keep them dancing throughout the whole song. It was hard to ge”t them to dance at first but now they know the drill and dance the whole song! i love this. i’m trying to write some rhymes for my class. Can anybody inbox me ten dizy drangon . Soni- Please send us your email address! You can use the “Contact Us” link to send us a private message. Thanks. Tara, Sorry for taking so long to respond! I just use Sounder Recorder which comes with Windows software, and a headset with a microphone (that I use for webinars.) Nothing fancy! I’m a little late to the party here. I would love to get the words to *Ten Dizzy Dragons* also! I’d like to do a dragon storytime soon. could someone send them to me also?